As production ramps up, I’ve been able to reduce the price of some items by 15 to 50 percent, both built-ups and kits. Check back for the items you’re interested in. This is a model of the William Lyon Mackenzie, launched in 1964, and refurbished in 2004. The boat is the main fireboat for the City of Toronto’s Fire Services. Built in Owen Sound, Ontario by Russel Brothers Limited, it operates 12 months a year, providing emergency services within Toronto Harbor and the adjacent waters of Lake Ontario. 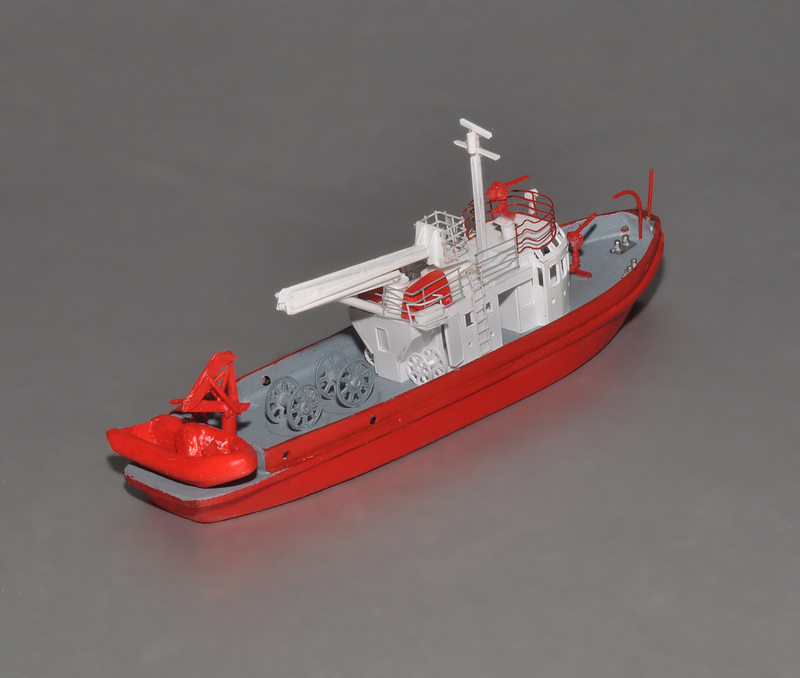 The model has a cast resin hull, and styrene superstructure. 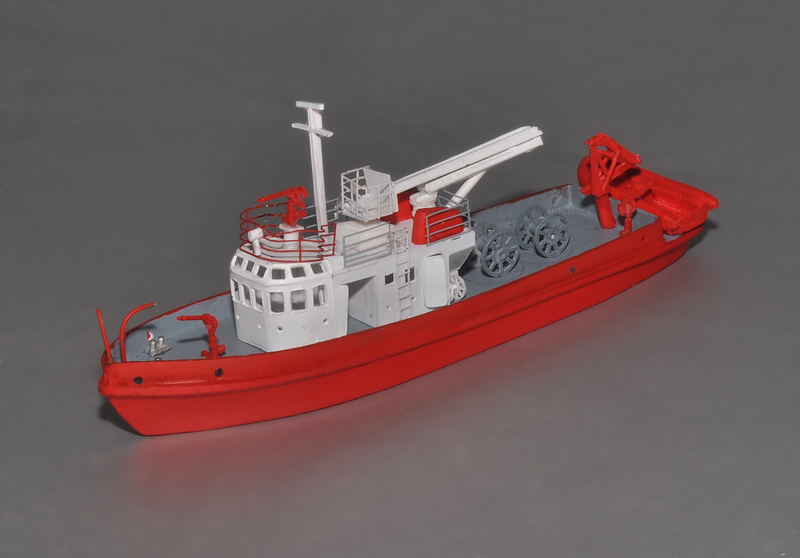 The pilot house and aerial platform contain small parts requiring a medium level of modeling skill to assemble. Prices aret $69 for the kit, and $230 for a built-up, plus shipping.